Ravinder Singh is in the news since his first book got published and now his second book has been a hit since the day it got released. 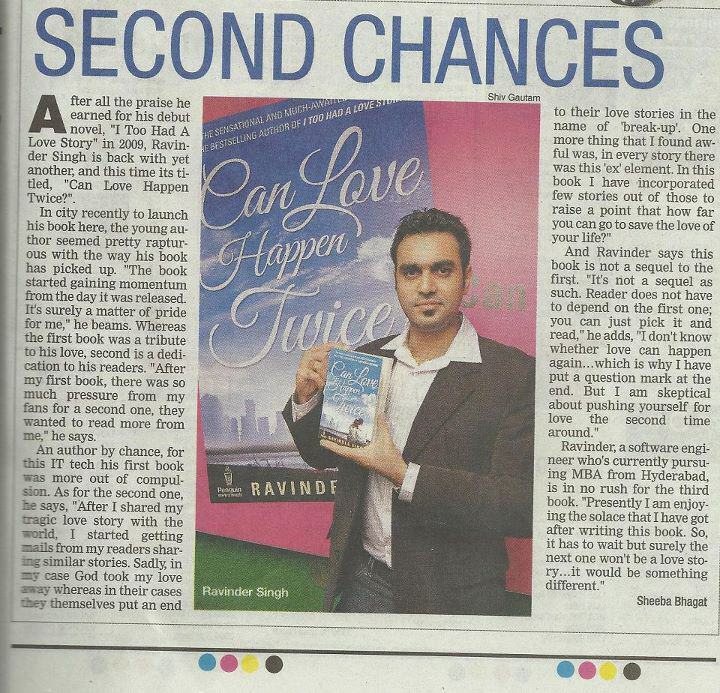 Someday sago we posted a pic of Ravinder Singh article in "The Tribune" now, another newspaper - Times of India, Chandigarh has given a shot of him. Good Luck Ravin...!! !